Great weather! Great food! Great beer! A good time was had by all. 1. Ghost River Golden Ale – Memphis, Tenn.
2. 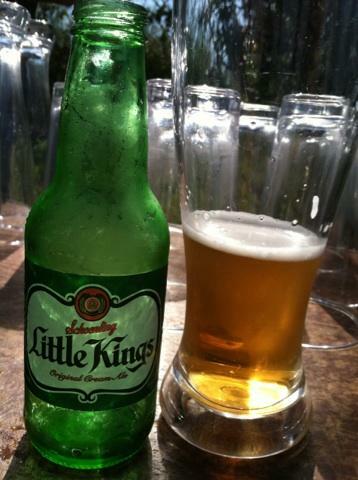 Little Kings Cream Ale – Wilkes-Barre, PA.
With the novelty of the cute little green 7oz. 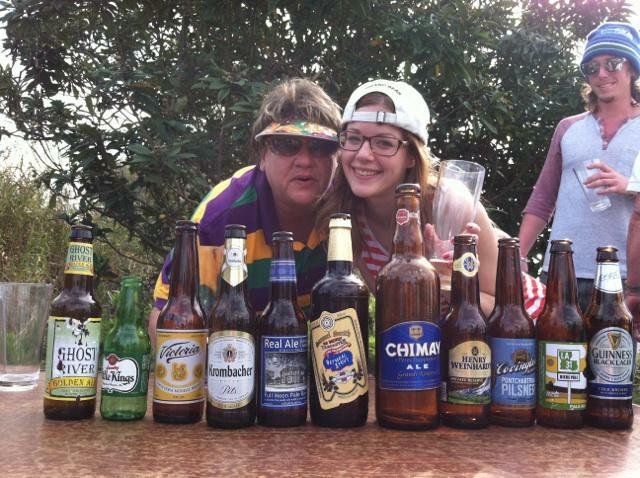 bottle and the smooth easy drinking of this cream ale, Little Kings was the crowd favorite, especially with the ladies. Overall, I thought this was one of our strongest lineups. Starting with the first two light ales, then contrasting with Victoria, which reminded me a little of a Dos Equis Amber. Krombacher Pils is a classic pilsner with a smooth body and having that classic crisp back end. Full Moon had the look of a dark ale with nice fruity nuances, while the Oatmeal Stout was probably the second most-liked beer. People could not believe this beer was so smooth and tasty. We finish every year with the great Chimay Grand Reserve. Yummy! Great food at the beer tasting. 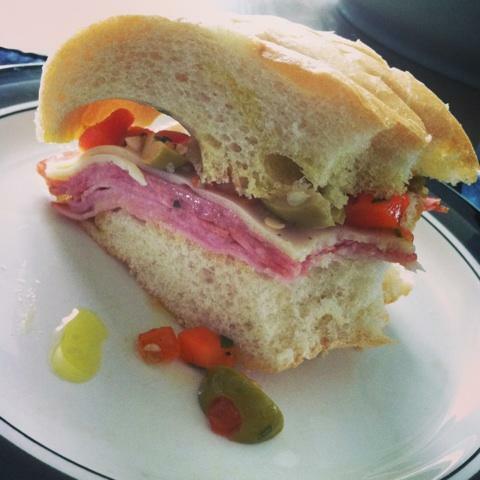 One of the items we had was frenchelettas, which is the classic muffuletta sandwich made with French bread. 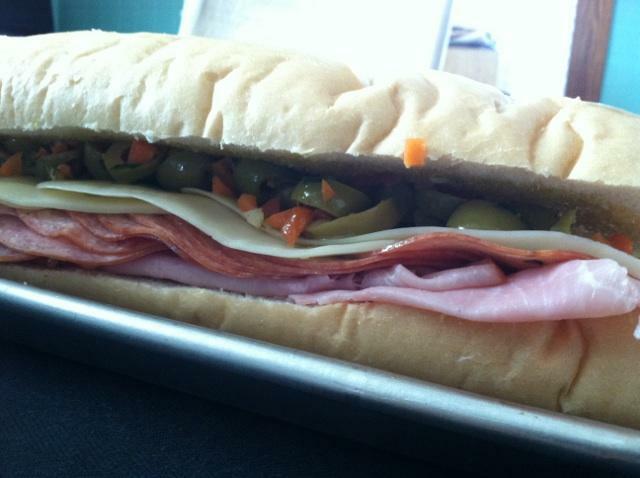 Slice the french bread, then put on bottom of bread a layer of ham, cotto salami, and Swiss cheese. Then put olive salad dressing, and then top with French bread. Tasty!